The Customs House is delighted to announce the full cast for Wormtown. 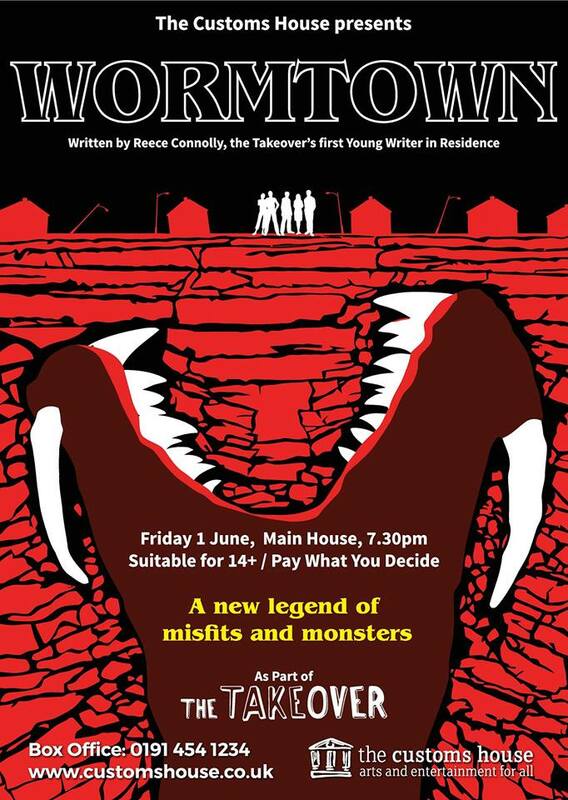 The play has been written by The Takeover Festival’s first Young Writer in Residence, Reece Connolly, and features a young cast of ‘ones to watch’. 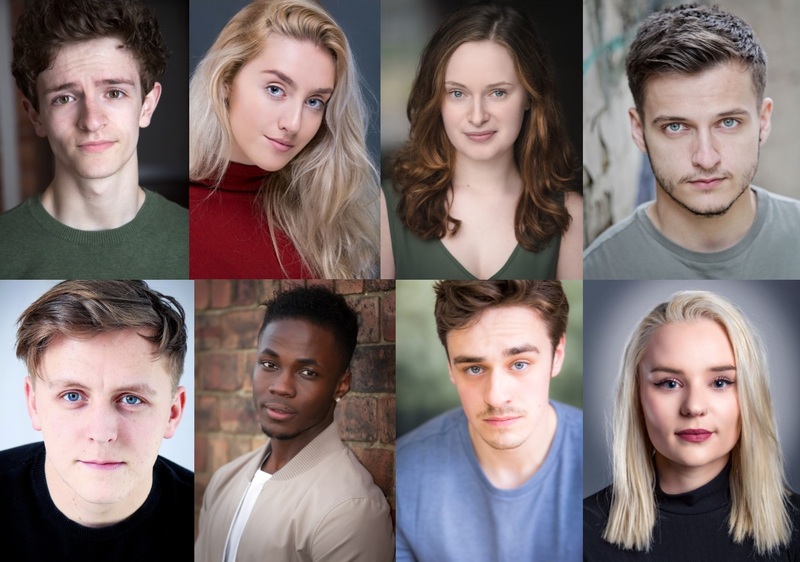 All of the cast are under the age of 25, as the purpose of this strand of The Takeover Festival is to give young actors a platform, as well as giving emerging actors more professional experience. Andrew Finnigan, 21, from South Shields, who has previously appeared in The Fifteen Streets and Drip at The Customs House and is also starring in My Uncle Freddie at The Customs House this summer, will be playing Kezzy. The Customs House is where it all started for Andrew, as a member of The Customs House Youth Theatre, and he can’t wait to return with such a “unique and gripping show”. Also returning to the venue are former Youth Theatre member and recent Arts Ed graduate James Gladdon, 21, originally from Middlesbrough, playing J, and Lauren Waine, 22, from Sunderland, a graduate from The Liverpool Institute for Performing Arts, playing Cassie. Top (L-R) Andrew Finnigan, Serena Ramsey, Lauren Waine, Daniel Watson. Bottom (L-R) Luke Maddison, Kema Sikazwe, James Gladdon, Abigail Lawson. Luke Maddison, 23, from South Shields, who has appeared in Geordie The Musical at The Customs House, as well as the annual pantomime, will be playing Scrum. Abigail Lawson, 21, from Sunderland, will be playing Batter in her second professional theatre credit, following Blowin’ A Hooley’s Want, since graduating from Newcastle College this year. In the multi-roles, there is Daniel Watson, 24, from Newcastle, who trained at Newcastle Theatre Royal’s Project A and recently starred in The Terminal Velocity of Snowflakes at Newcastle’s Live Theatre. Alongside Daniel is Serena Ramsey, 21, from Newcastle but now London-based, whose first TV appearance was in CBBC’s Mission 2110. She graduated from the Court Theatre Training Company in 2017. The cast is completed by Kema Sikazwe, 24, from Newcastle, a rapper who got into acting in his early 20s and went on to land a leading role in BAFTA and BIFA Palme D’or award-winning film I, Daniel Blake. Wormtown will be directed by Jake Smith, who hails from the north east and began his career at Hull Truck Theatre as a Creative Learning Facilitator. He has since been a Resident Director at the Almeida Theatre, Trainee Director at Chichester Festival Theatre and trained on the National Theatre Directors’ Programme. He is the current Artistic Director of Petersfield Shakespeare Festival and has previously been nominated for an Off West End Award for Best Director. Reece, from Prudhoe, is a playwright and theatre-maker, and has been based in East London since studying drama at Queen Mary University of London. He now splits his time between London and the north east. 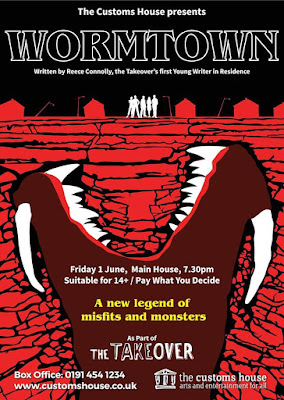 Wormtown is a re-imagining of the Lambton Worm fable and is described as ‘a new legend of misfits and monsters’ and is a darkly comic, sci-fi tale. Writer Reece Connolly has been mentored by Laura Turner, who is a writer for stage and screen. She has written more than 30 original plays and adaptations of classic novels, and has most recently worked with the Almeida Theatre, Hull Truck Theatre and One Day Creative. 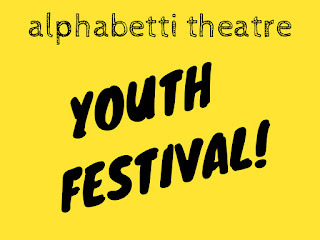 Wormtown will be staged on Friday 1st June at 7.30pm at The Customs House, and again on Saturday 16th June at 7.30pm, at Alphabetti Theatre, Newcastle, as part of the region’s first Youth Fringe Festival. The Takeover Festival is an annual youth arts festival run by and for young people in the north east aged 15 to 25. It features film, art, poetry, dance and much more and runs at The Customs House from Monday 28th May to Friday 1st June. Its work is made possible with the generous support of South Tyneside Council, Arts Council England, WA Hanley Trust and Scottish Power Foundation. Customs House: For tickets, available on a Pay What You Decide basis, contact the box office on (0191) 454 1234 or book online at www.customshouse.co.uk.